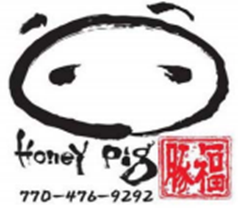 LP Global, Inc. (LPG) opened a Korean barbecue restaurant in Georgia in 2007 using the name HONEY PIG. It applied to register HONEY PIG & design in August 2009. The examiner cited an application that had been filed less than 2 months earlier by Seoul Gool Dae Gee, Inc. (SGDG) to register the Korean equivalent of HONEY PIG & a different design for a Korean barbecue restaurant it had opened in 2008 in Virginia after LPG had opened its restaurant. LPG did not respond to the examiner and its application was abandoned. Meanwhile, SGDG’s mark was registered, and the parties continued to co-exist for 10 years with no proven instances of actual confusion.. But when SGDG sought to register HONEY PIG in plain lettering, LPG opposed based on its priority of use of that mark. SDGD at first argued that its existing registration gave it the right to register its mark in plain letters, but it did not pursue that position. Instead, it argued that the co-existence was enough to show no likelihood of confusion. The TTAB sustained LPG’s opposition and refused to register the standard character mark since the marks were similar in appearance and identical in meaning and sound, and the services, channels of trade and classes of customers were legally identical. LP Global, Inc. v. Seoul Gool Dae Gee, Inc., Opposition No. 91221967 (T.T.A.B. March 13, 2018). On September 18, 2018, LPG sought to shore up its registration rights by filing application Serial No. 88121727 to register its HONEY PIG mark in standard characters for “restaurant services” in Class 43 claiming use since December 12, 2007. Takeaway: The lesson here is to take action against a subsequent use or application to register a restaurant name similar to yours. You are likely to learn if a similar restaurant name starts to be used, and your trademark attorney can arrange for a relatively inexpensive watching service to report applications to register similar restaurant marks so you can take appropriate action.